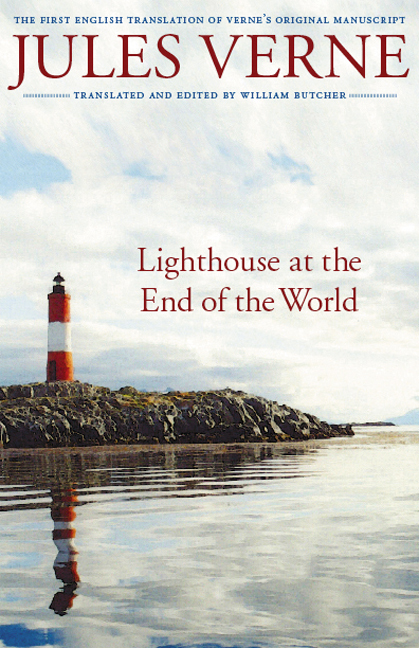 Three keepers (Vasquez, Felipe, and Moriz) are left to tend the new lighthouse on Staten Island, an island located 200 km NE of Cape Horn in the Atlantic Ocean. Unfortunately Staten has other residents, a group of pirates (led by Kongre) who’ve been waiting for the opportunity to seize a vessel with which to leave the island. They murder Felipe and Moriz and take possession of the lighthouse; it’s up to the lone survivor Vasquez to remain alive until the relief boat comes in 3 months. Translator & Critical Material: William Butcher. Lincoln, Nebraska, Bison Books, 2007. 210 pages, ?? ill.